FFD: Is it time to abandon the PC “Master Race”? It all started with a bit of mocking derision. Ben “Yahtzee” Croshaw whimsically made fun of the elitist attitude PC gamers held, calling them the glorious PC Master Race. 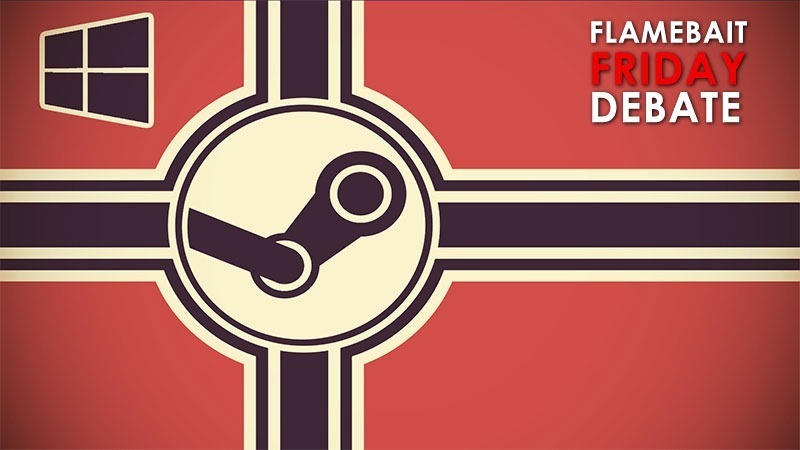 Seven years ago, that Nazi analogy, used ironically, picked up momentum – and somehow, PC gamers started calling themselves that. And it’s become ingrained in the “core” gaming culture. “It worked as a hyperbolic joke when it was first said as a hyperbolic joke, and I did think it was a little funny to embrace the criticism ironically—for a moment,” PC Gamer’s Tyler Wilde said two weeks ago when he proposed that PC gamers give up the mantle, used unironically these days. Continuing, he says that even though its use is memetic, it reeks of fascism. He proposes that PC gamers, if they wish to be hailed as a collective, choose not to use nomenclature that invokes imagery of white supremacy; not as some sort of politically correct, SJW agenda – but because comparing yourselves to Nazis just isn’t cool. I’ve used the terminology myself, mostly as a bit of derision about elitist attitudes – but I understand Wilde’s plea here. There has to be something else, something better that PC gamers can use as a label, an identity. What do you think? Are you a proud member of the Master Race? Do you find it insensitive to the injustices suffered under the hands of vile, evil men nearly 80 years ago? Do you have any better ideas for names pixel-pushing PC pundits should use instead?